May New Release Blog Hop! WIN ALL THREE NEW SETS! Happy Birthday to the amazing Francine! This runs today only (April 30, 2015), so don't miss out on your chance to win! or more during the month of May 2015. May New Release - Sneak Peek of Little Fellas! WIN IT! 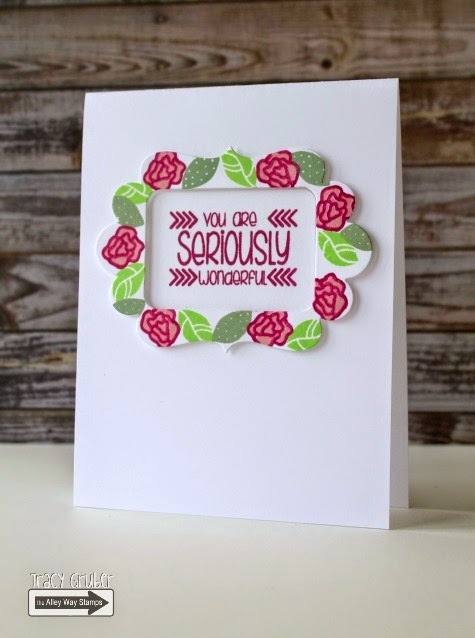 Today is our last day for sneak peeks before our Blog Hop TOMORROW! 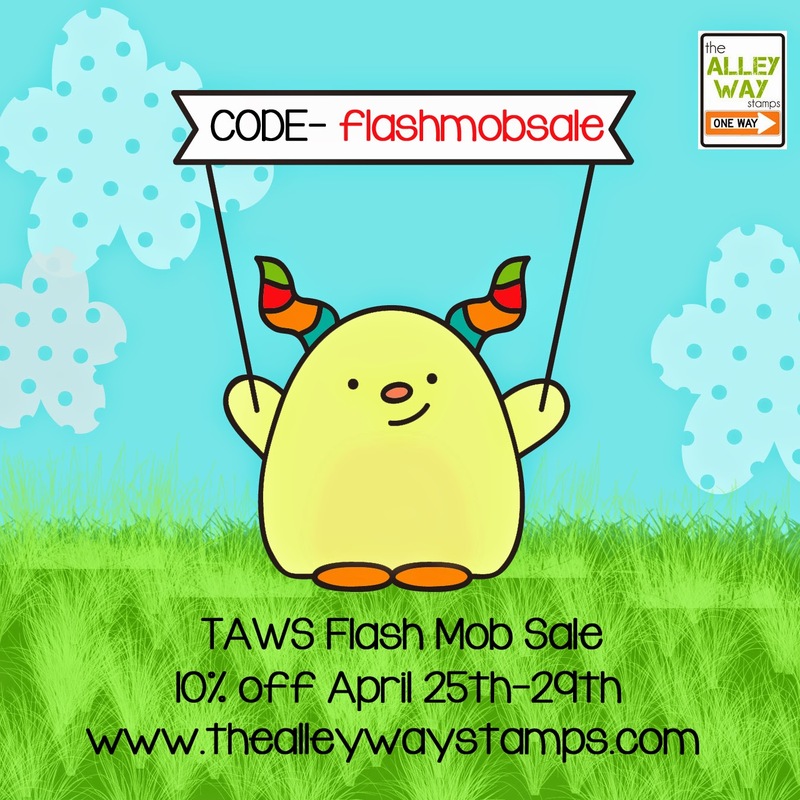 Don't forget to come back tomorrow, April 30, 2015 where we will give away ALL THREE to one lucky stamper during our blog hop! Click on the Rafflecopter widget below to enter to win this set - Little Fellas !!! ! You have until 7 pm TAWS time tonight to get your entries in! For our friends that do not have Social Media accounts, you can also just comment below. 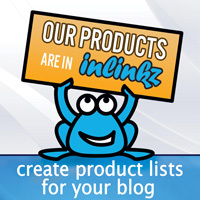 We will randomly pick commenters for our giveaways, too! This contest will run TODAY only (4/29/15), but we will have another giveaway tomorrow! 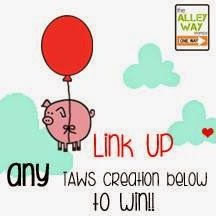 Winner chosen from the comments - please email alison@thealleywaystamps.com by 5/6/15 to claim your Little Fellas set!! Hello! It's Tracy here with a peek at the new Little Fellas set. I love how this set coordinates with the other sets in this release. The baby animals are just adorable! Hey there! 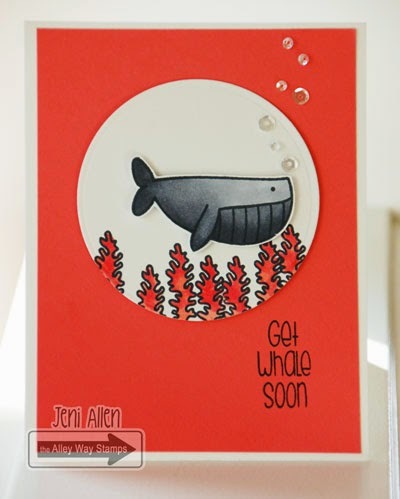 Jeni here with another little peek at the "Little Fellas" set....oh how, how I love this little whale!! 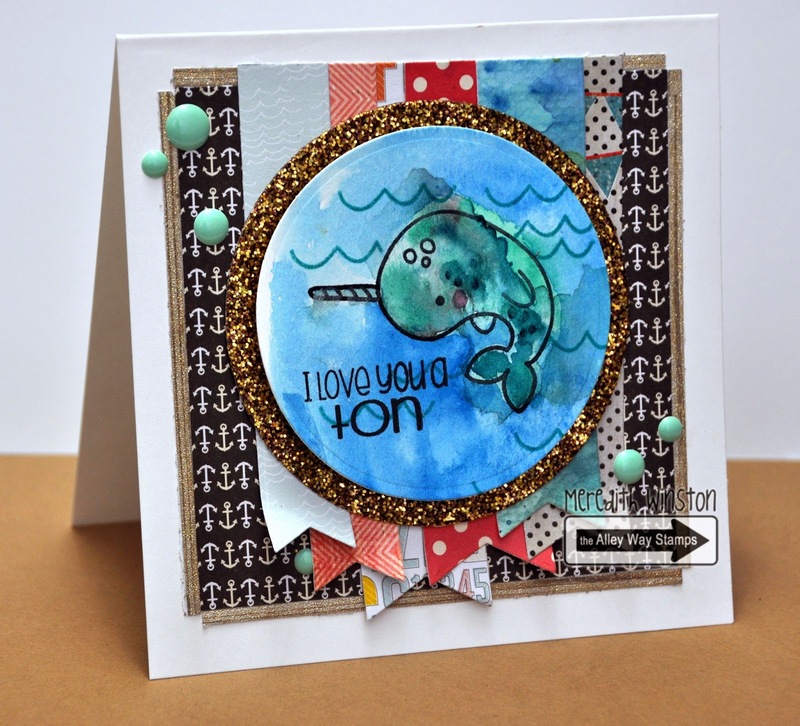 These sea images are so fun and will be a blast to use for any occasion!! I adore the sentiment!! 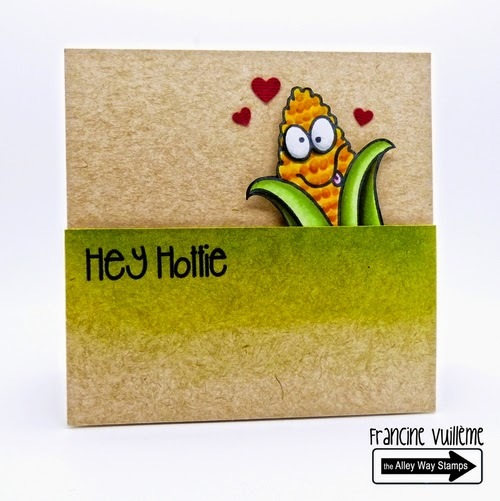 Hi everyone... Holly here with a fun project using Little Fellas! I created a background using two stencils, some Distress Inks and a white gel pen. 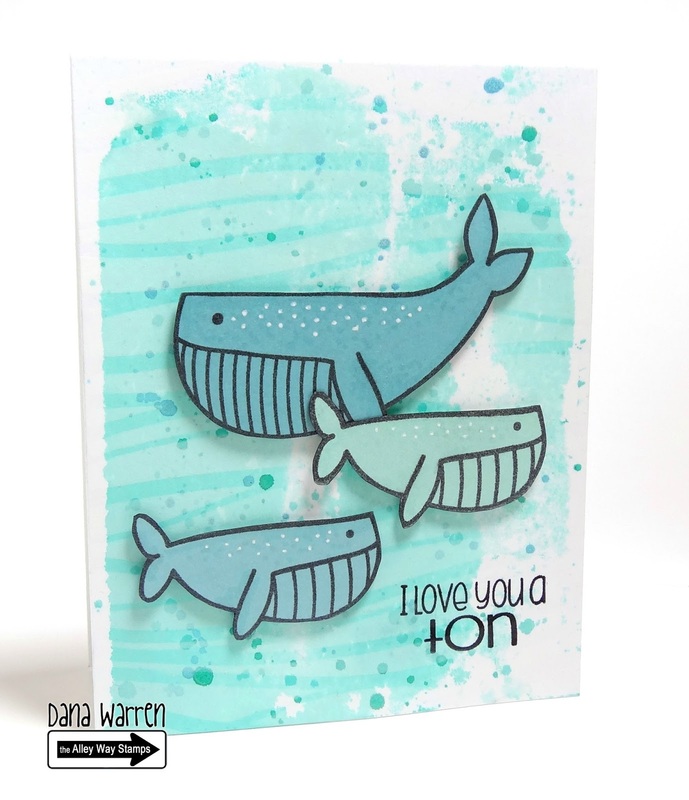 The grey enamel dots remind me of the barnacles whales have. May New Release - Sneak Peek of Something's Fishy! WIN IT! Today we are back, sneaking the May Release! Don't forget to come back tomorrow for another chance to win! 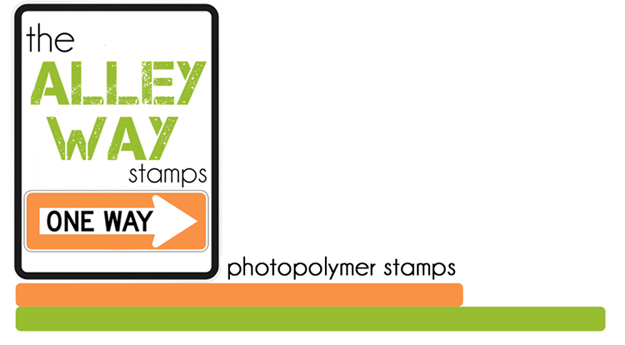 And on April 30, 2015, we will give away ALL THREE to one lucky stamper during our BLOG HOP! Click on the Rafflecopter widget below to enter to win this set - Something's Fishy !!! ! You have until 7 pm TAWS time tonight to get your entries in! For our friends that do not have Social Media accounts, you can also just comment below. We will randomly pick commenters for our giveaways, too! This contest will run TODAY only (4/28/15), but we will have giveaways for the next few days! Hi everyone! It’s Francine! 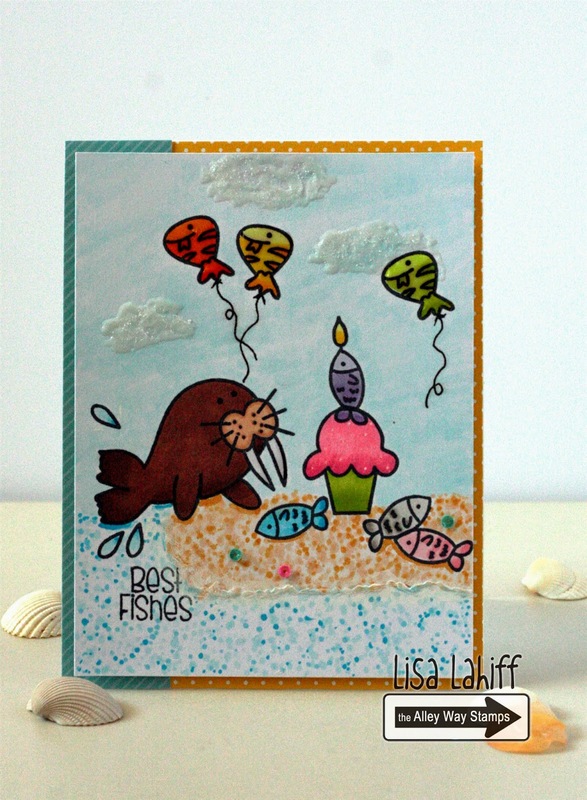 This is my peek day card using the new Something's Fishy set. 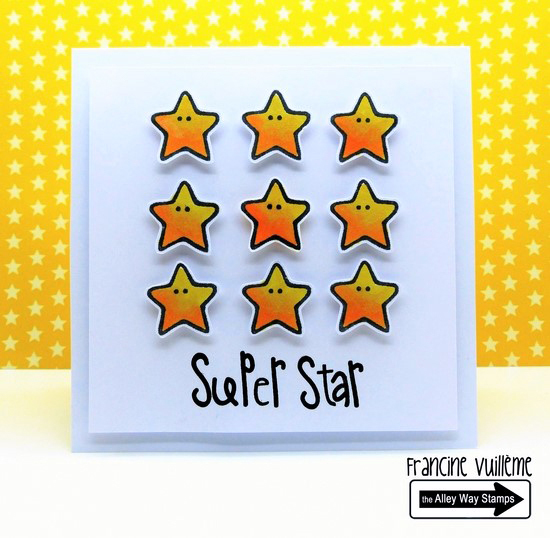 How fun are these little stars?! The sentiment is from an older set called Reel Time. Hello! Dana here with my peek of Something's Fishy! I played with some watercolor, stencil and spray inks to make my background. Shhh, i also used a couple other sets on this card from this release!! These sets work SO well together, your going to HAVE to get them all!!! Hello, Emily here. 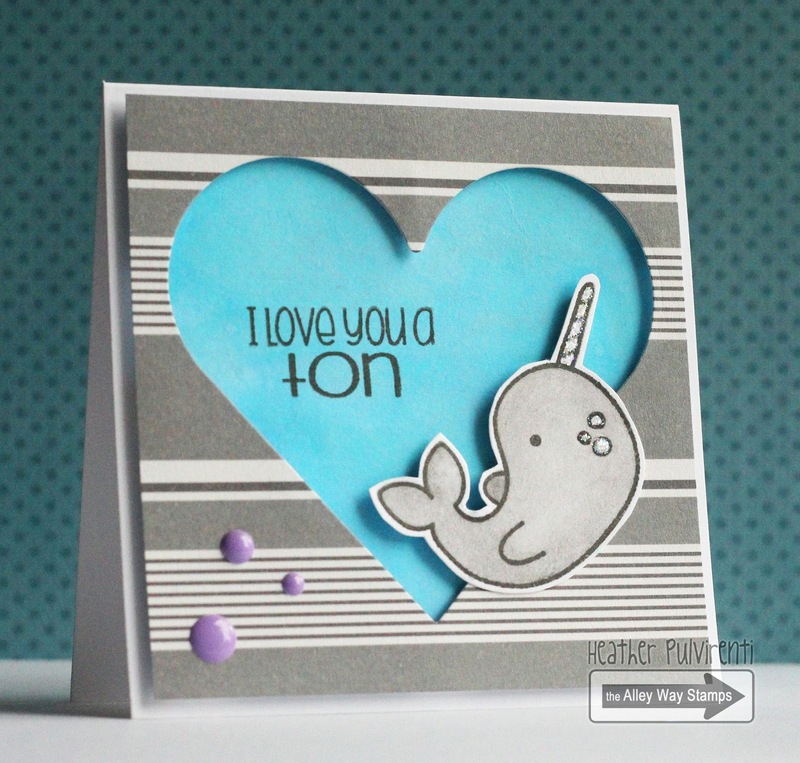 For today's sneak peek card, I used images in 2 sets: Something's Fishy and Little Fellas. I colored my snakes using Copic markers. The background was Peacock Feather distress ink. 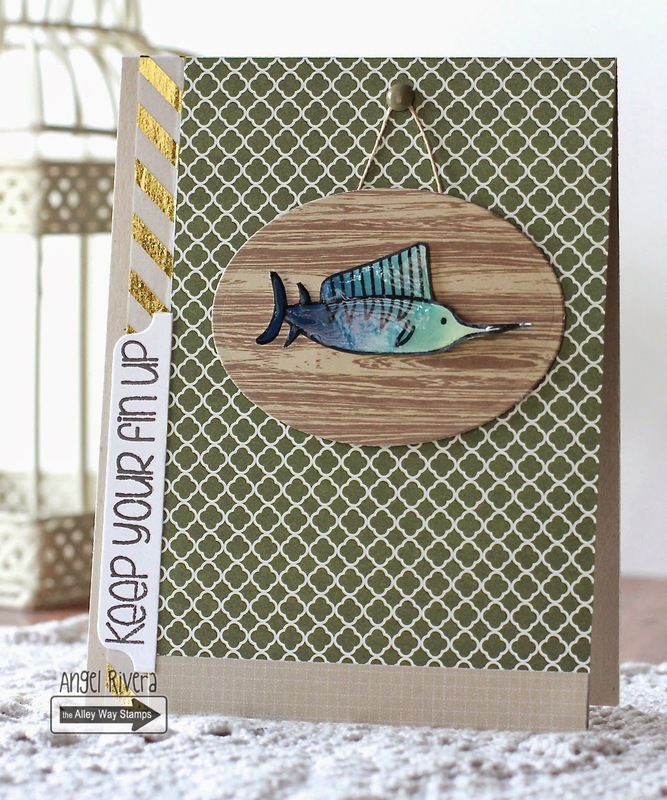 Chrissie here, using the new Something's Fishy set. This one just was begging to be watercolored, so I did just that! Love it! Hi all! Angel here with a peek using Something's Fishy. I stamped the fish over some paper I had watercolored then added glossy accents so he looked like a mounted fish. :) Such a FUN set! May New Release - Sneak Peek of All Washed Up! WIN IT! Today, we have our first Sneak Peek giveaway today for the May 2015 Release! 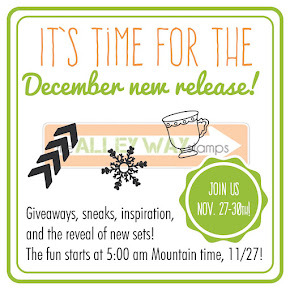 Don't forget to come back tomorrow for another sneak - we have three full days of sneak peeks! And we have our New Release Hop on April 30, 2015 where we will give away ALL THREE to one lucky stamper! Click on the Rafflecopter widget below to enter to win this set - All Washed Up !!! ! You have until 7 pm TAWS time tonight to get your entries in! For our friends that do not have Social Media accounts, you can also just comment below. We will randomly pick commenters for our giveaways, too! This contest will run TODAY only (4/27/15), but we will have giveaways for the next 3 days! Greetings Friends! Meredith here and welcome to the awesome May release!!! 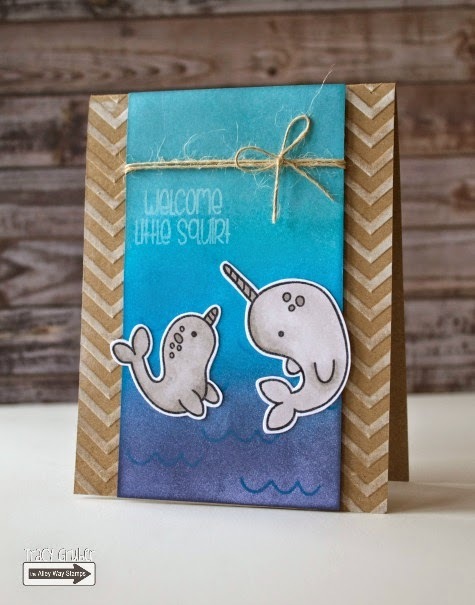 Today's creation features an ADORABLE Narwhal from the new set All Washed Up! I used my Kurtake Gansai Tambi paints to create depth and translucency in this scene. I stamped the waves using my Peacock Feathers Distress Ink to create crisp looking waves. Hello, and yay for sneaks!!! Lisa here with a cute Birthday scene to share with you. I had a blast coloring and stamping some of the images from this set, and I know you are going to love it too! Hi everyone, Tanja here. 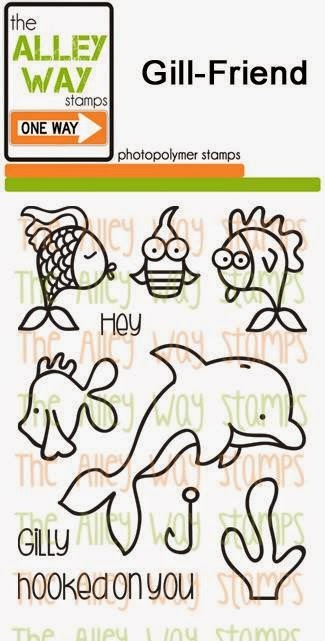 All Washed Up is such an adorable stamp set. I'm sure you'll love it, too! Hey, Anni here! There are the cutest marine creatures ahead! Here's my card using the new set All Washed Up. Hi Marina here. Also using the All Washed Up set. The tiny fishes featured in my card is such awesome. 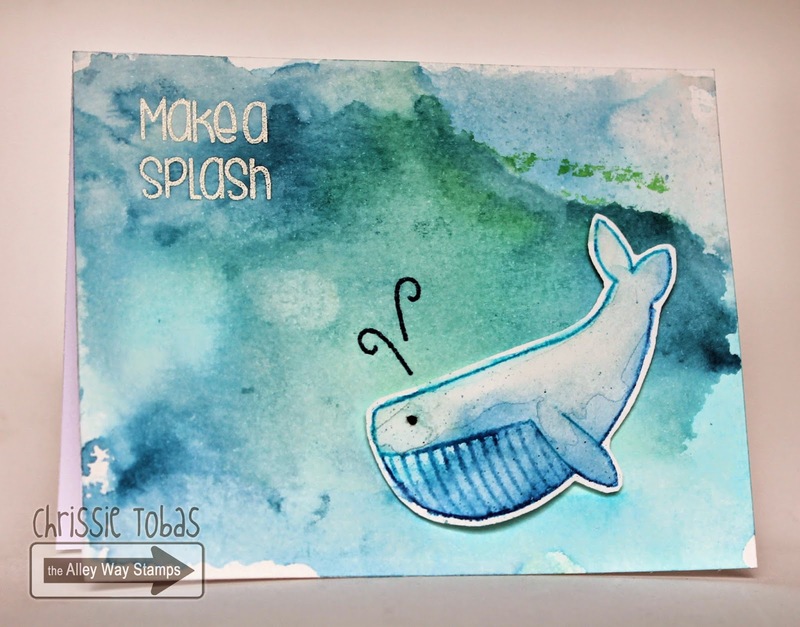 Hi, it's Therese and I have a really fun boy's card and video today, these new sets Blast Off and Phone Home are adorable and the idea of balloon planets really made me smile. Hello!! Happy Saturday :) It's Michelle here and today I have a special video showing you how I put one of the DIY washi tape bows I made a few days ago to use along with the Branching Out stamp set from The Alley Way Stamps. Here's the video to see how the card came together. Hello! 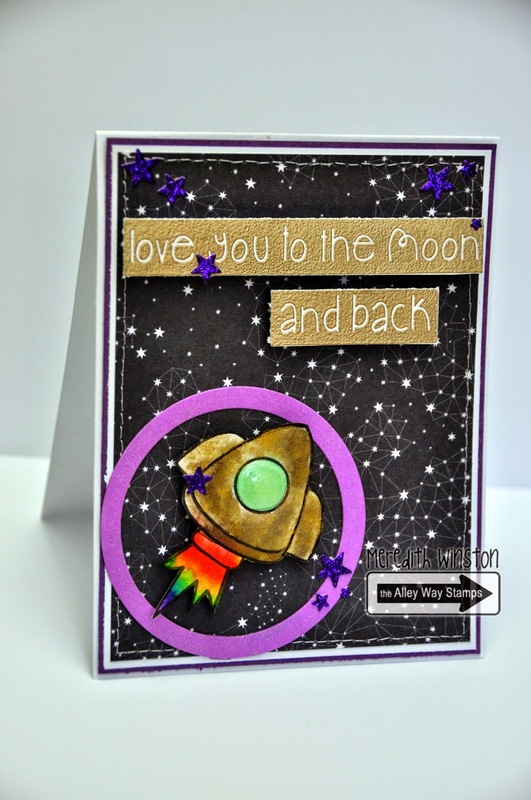 It's Tracy here with another scene card using the mini Blast Off set. I even heat embossed the stars with glow in the dark embossing powder! Hi everyone! It’s Francine! For this card, I got the idea to make a scrapbooking layout in a Mixed Media style. For the "polaroid", I made a little scene using the Far Out set combined with the Feeling Groovy set. I created the background with a stencil and several TAWS sets: Spotted, Far Out and Feeling Groovy. 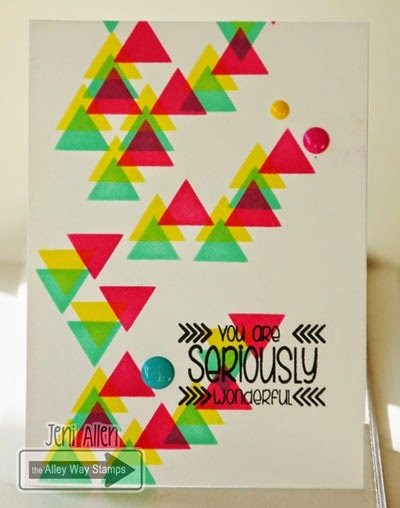 Hello, Emily here with a colorful card using the stamp sets: Far Out and Feeling Groovy. I stamped and color my images using Copic markers. Then i fussy cut them and adhered them on my background. Hi everyone! 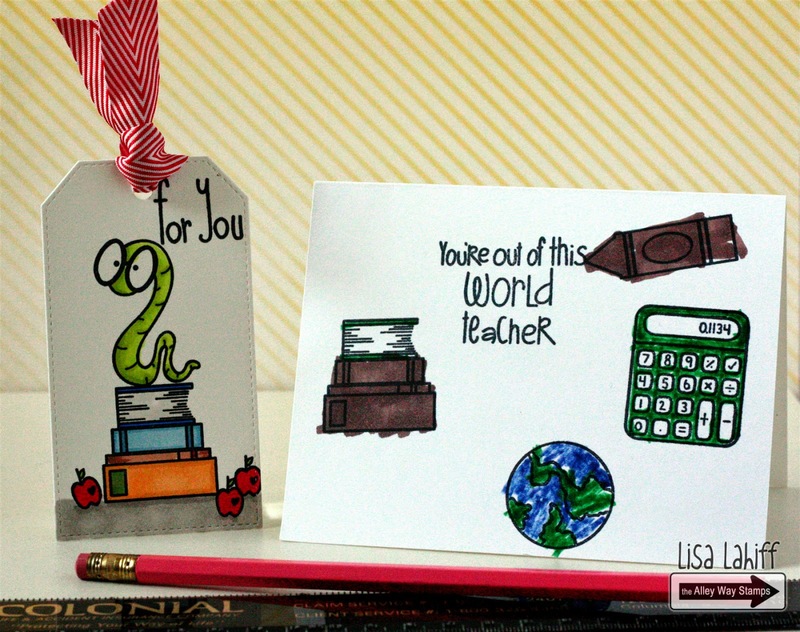 Simonne here with a card using some of the stamps from Phone Home. This is also my very first attempt at an "ink smooshed" background. I definitely need more practice with this technique (the black smoke trailing from the spaceship was a happy accident!). I'd love to know if you've had a go at this popular technique! Happy Saturday... 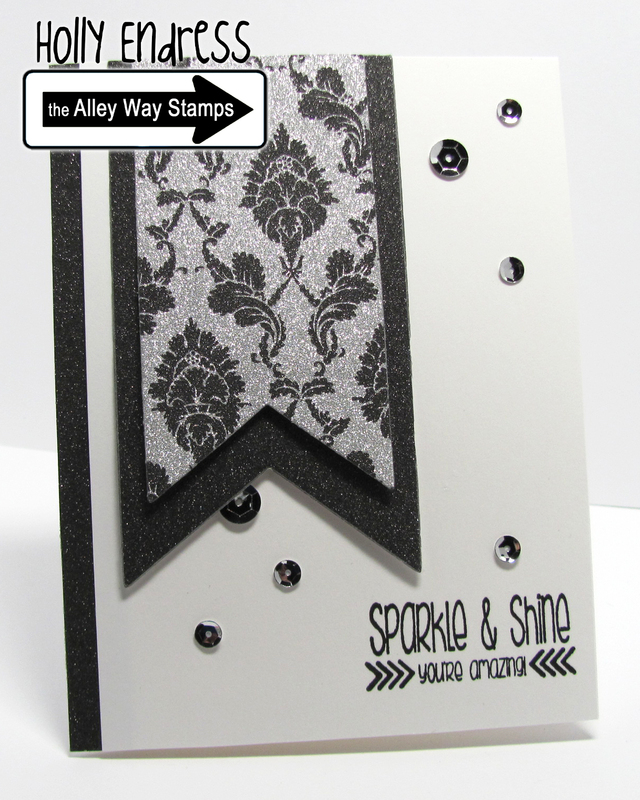 It's Holly here with a CAS card for you today using the set Say it don't spray it along with some fun Glimmer papers and Sequins. Instead of masking off an area of the stamp for selective stamping I cut the stamp apart.. eeekk!! I know I cringed the first time I did this too, but that's whats great about these stamps they go right back together good as new! Hey there!! Jeni here. I've got a quick little something to share! I found a fun stencil, added some great color and this great sentiment from Say it don't spray it. Greetings friends!! 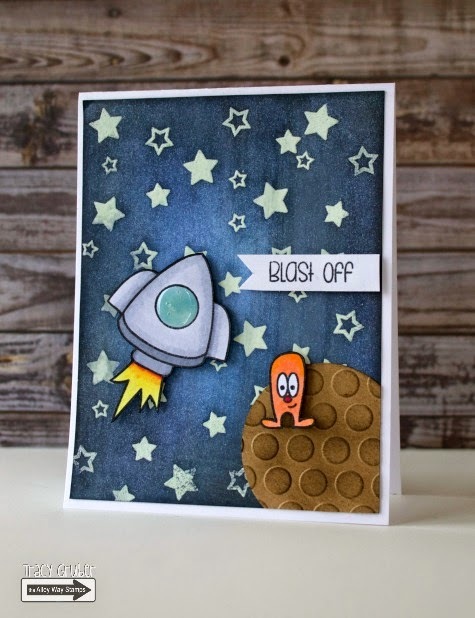 Popping in today with an out of this world card (hahaha - sorry I couldn't help myself) using this month's newly released set Blast Off. I also used an older TAWS set called Out Of This World. It's a perfect match with the new set Blast Off! Hi it's N@ Ali. I created my background using Lava You, Tickle me Happy & BEE Unique. These little gifts are a breeze to color in. But if you own the BEE Unique set, it is even quicker to just stamp them with the solid square in that set! Hi everyone. 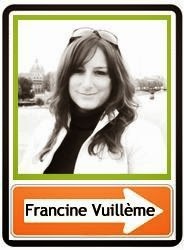 Tanja here with my flashback card of this month. I used Sittin' Pretty. I love this cute cat! Hi Marina here. 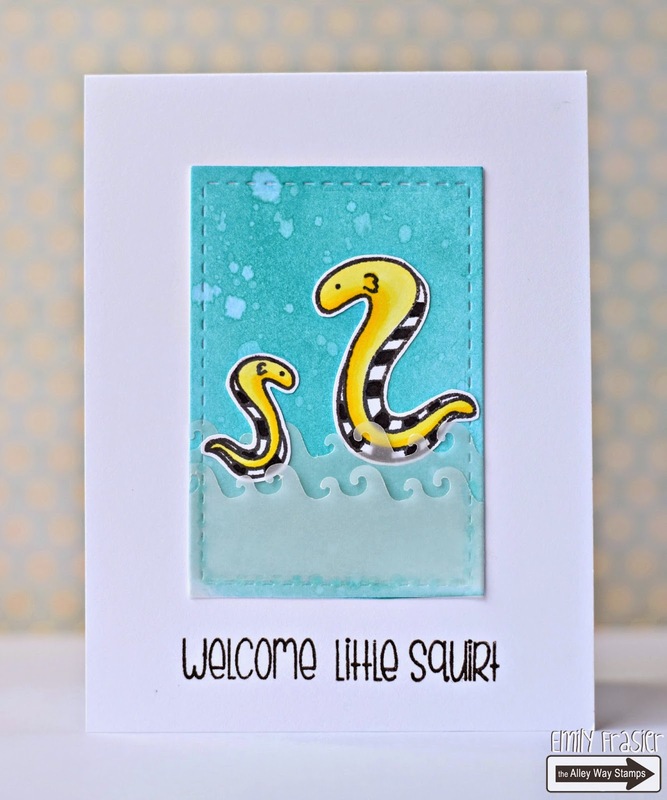 Today,I'm sharing a watercolour card using the stamp from Say It Don't Spray it. I used the sequins in a cluttered manner to give some interest. Hi it's N@ Ali. Here's a quick card using Blast Off (this month's mini which is already available for sale) and Phone Home. Hello!! Dana, here with a card and a video!! I've had some requests for a video on how i have been doing my space backgrounds so here it is!!! In fact i show two different ways to do it, it all depends on the supplies you have available!! 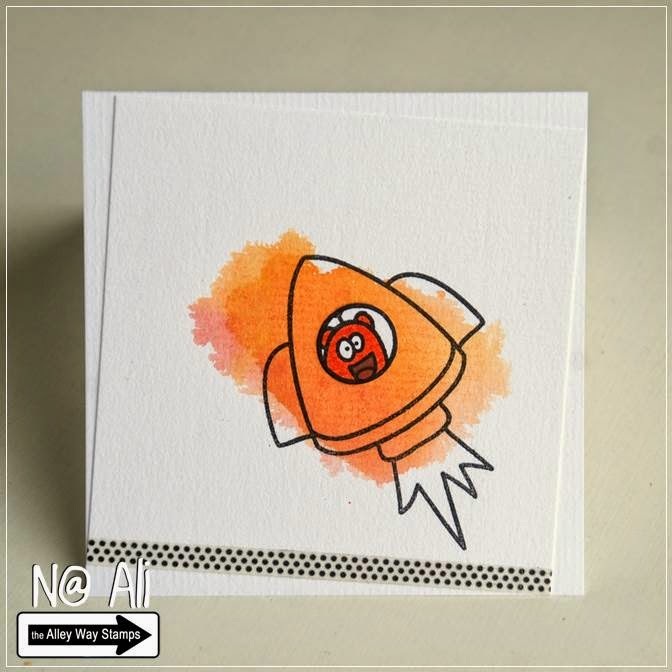 I am using Blast off on this card along with the matching SVG cut file! Enjoy!! Hi! Joanna here and I used the super cure birds from All Wrapped Up and the inside sentiment is from Rock Solid. Check out the video if you would like to see how I made it! Hi everyone, Tanja here with one more cute alien from Phone Home. The speech bubble is from Spell Check. Good morning!! 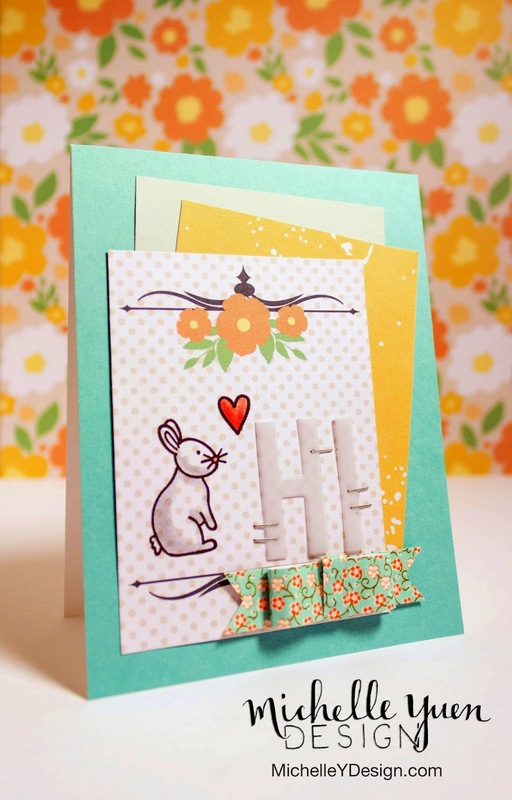 Jeni here and I am so happy to be sharing this fun little number today!! 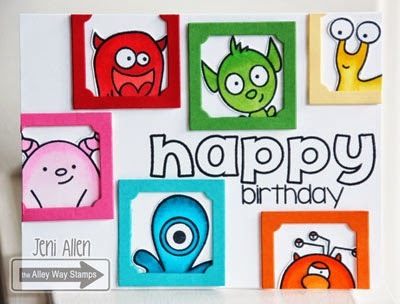 It was fun and fairly simple to create these little monster frames!! I pulled monsters from Oogles and Phone Home sets. My sentiments are from the Bubbly and Yappy sets. Hi all! 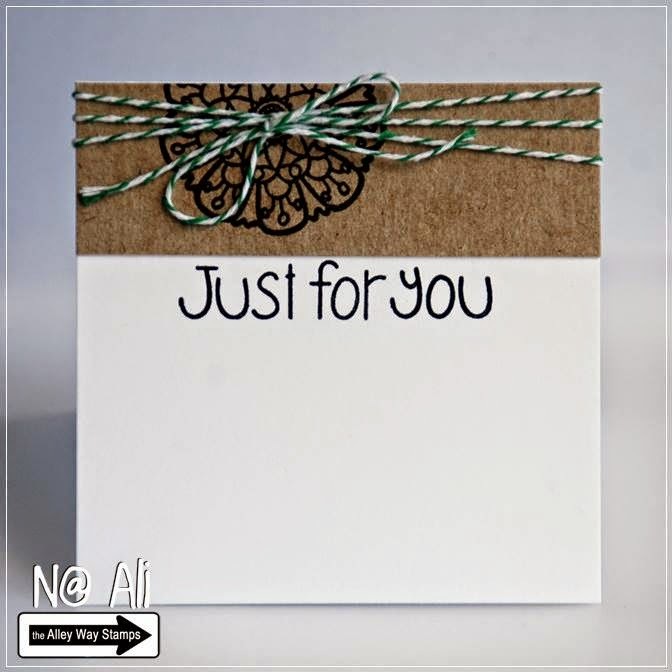 Angel here with a card using Say It Don't Spray It and a sentiment from Awesome Blossom. Hi there! 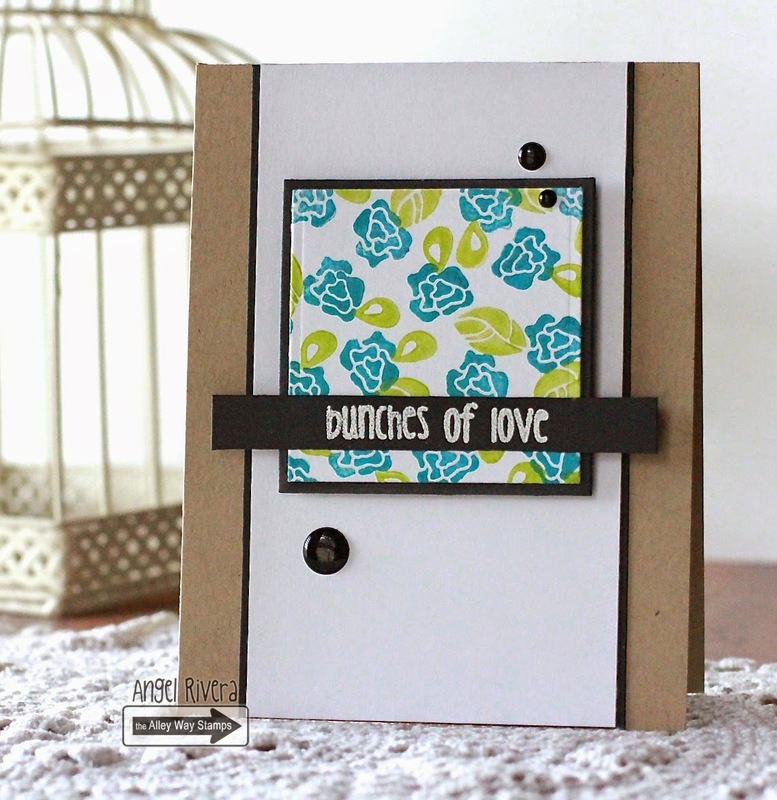 It's Tracy here with a Clean and Simple card using the Say It Don't Spray It set. I die cut the frame and then stamped the flowers and leaves onto it. I then stamped the sentiment into the middle with a matching ink. Hi it's N@ Ali. Here's a quick card using Flower Doodles (the flower was heat embossed on the inside of a cereal box) and BEE Sweet for the sentiment. 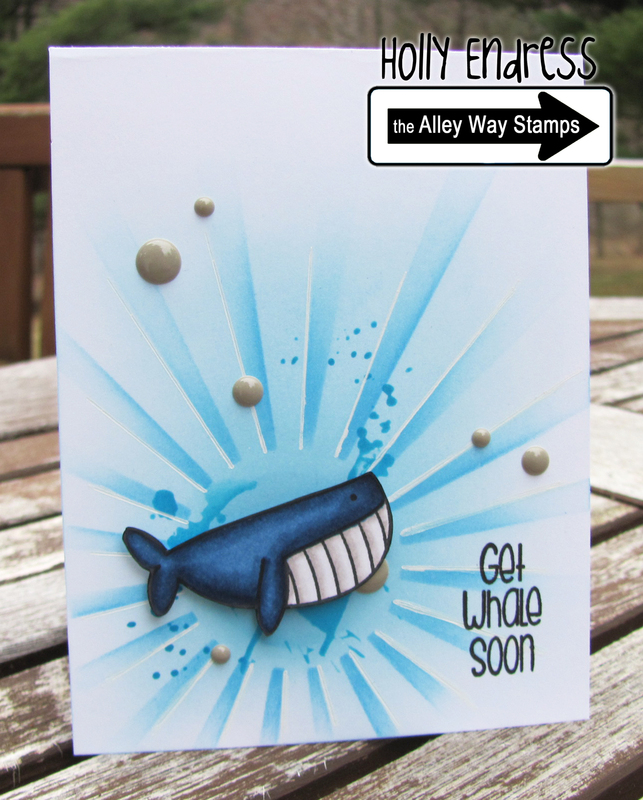 Happy Wednesday everyone.. Holly here with a fun Birthday Card today! 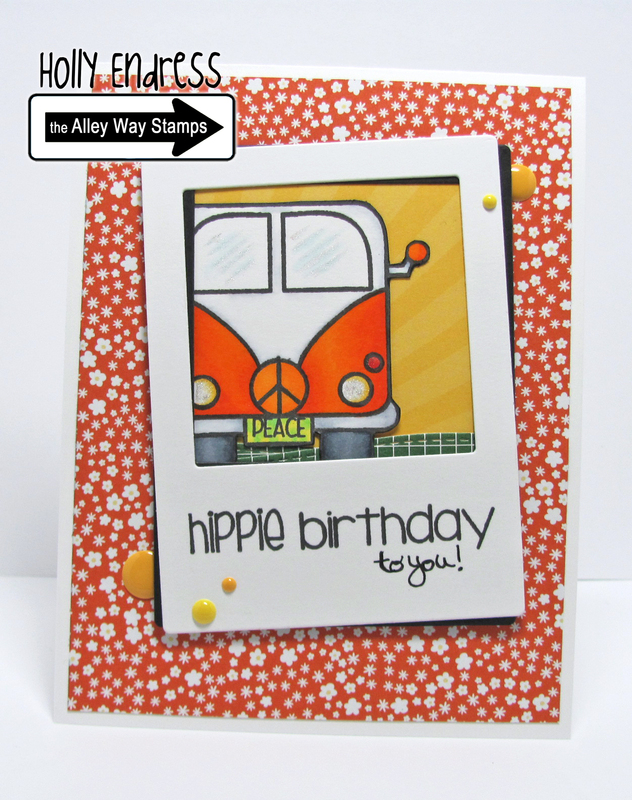 I'm using the set Feeling Groovy and the Birthday sentiment from Yappy. I added some of my own handwriting to the sentiment as well. Anni here showing you a card that was made with the sets Oogles and Far Out. 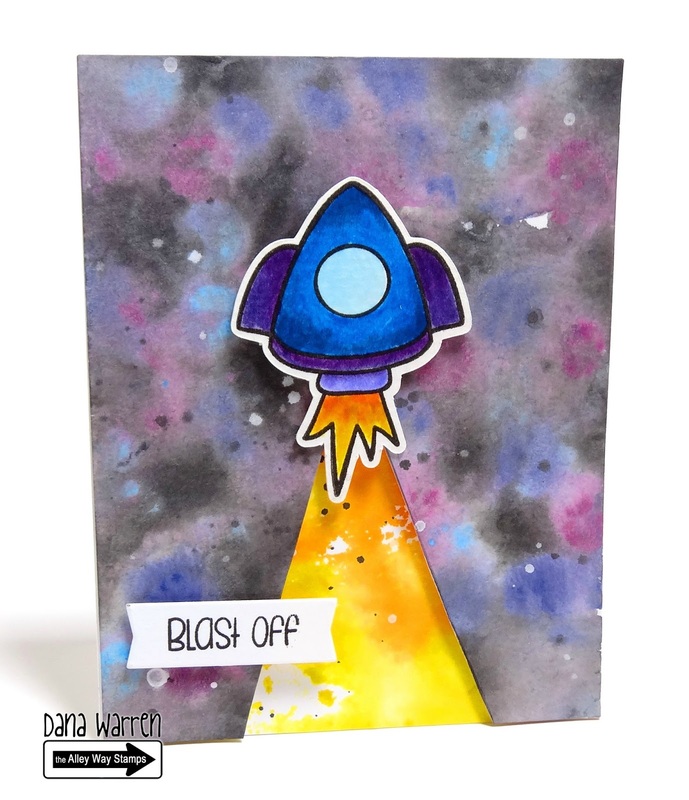 Video: Spotlight Stamping + Blast Off! More from our April Guest Designers! NEVER have clogged glossy accents again!!! Happy Bithday and a video AND VIDEO HOP WINNER! April 2015 New Release Recap and LINK UP PARTY!